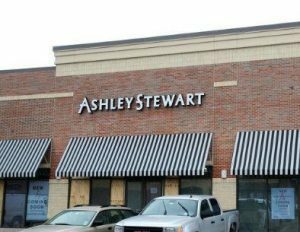 Ashley Stewart, the fashion brand that provides professional and fun clothing designed for full-figured women, has established the Ashley Stewart Leadership Scholarship in partnership with North Carolina A&T State University. Ten thousand dollars will be awarded a female student in the business and economics disciplines attending the nation’s largest historically black college. The recipient will be announced this fall. Students can begin the application process on Monday, April 24; but on Thursday, April 20, James Rhee, CEO of Ashley Stewart, will be speaking at NCAT’s Big Ideas Conference where he will share secrets of success and engage in a fireside chat with Patricia Miller Zollar, managing director of Neuberger Berman. Both Rhee and Miller Zollar will discuss what is needed to be successful. “We’ll discuss everything we wish someone had taught us,â€ Rhee told me. You can watch the chat between Rhee and Miller Zollar on Facebook Live. Why is Ashley Stewart partnering with an HBCU to support the professional development of a black female student? Turns out that the retailer’s roots are in the black community. In fact, Rhee himself is known for referring to the business as “she.â€ Founded in 1991, Ashley Stewart was originally successful, but then its fortunes fell as it lagged behind in technology, e-commerce, and employee training. Up until three years ago, it looked as if the company would crumble. Rhee, who served on its board, was asked to take it over for six months. Three years later the company is flourishing under Rhee’s watch. “The business is profitable,â€ Rhee says. “We focused on values and education and teamwork and doing business the right way.â€ For Rhee, that included recognizing what energized the business’s loyal customer base: community, values, neighborhood employment, beautiful merchandise. Rhee sums it up with the word kindness, and through the $10,000 scholarship, he hopes to catalyze a movement toward greater gender equality and financial competence. 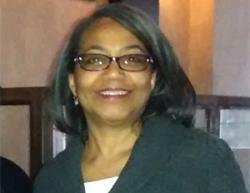 For more about the Ashley Stewart Leadership Scholarship, go here.